If you’re thinking of building your own garden decking (or finding an expert tradesman to help fit it for you) this site contains everything you’ll ever need to know on fitting the perfect structure for your home at the most affordable price. We’ve sourced & interviewed countless contractors, inspectors & professionals from around the World to publish the most comprehensive industry resources you’ll find on the web. Garden decking can act as the centre-piece of a beautiful garden & can often multiply the value of your property. Get started today! So Who Are Our Experts? With over 15 years’ experience as a chippy, Ed has been part of his fair share of deck builds. Having worked on over 50+ personal and commercial builds, Ed is a specialist with custom-build projects and his knowledge has been invaluable in helping our users with their DIY projects. Given his connections in the industry, Michael has been influential in helping our readers make the most of their money and getting the best possible deals on their materials & tools. He grew up in Manchester and has spent the last 11 years supplying materials to those in the industry. Danny grew up in Newport, South Wales and has spent much of his adult life as a keen gardener and decking enthusiast. Having worked as both a builder and a landscape gardener, he has been pivotal in helping our users understand how Building Regulations & Planning Permissions affect them. Our initial guides focus on the steps you should take when looking at investing both time & money into a new garden deck. This includes a detailed process our experts follow when undertaking either a DIY or trade build, how to find someone to fit your decking, design considerations & tips, getting planning permission for your build and tons more! If you’re wanting a new garden deck but you’re not really sure where to start out, look no further. Nowadays there are any number of woods & plastics to choose from when it comes to the boards for your surface. From pressure-treated softwoods to wood-plastic composites, use these guides for a full breakdown of each & compare against your individual needs to help you find your perfect surface material. Need to figure out how many parts you’ll need for your decking frame or surface? Planning on building the deck yourself but not really sure which tools you’ll need to buy or hire? In this section we take you through the calculations you can make to help you understand what materials you’ll need. We also have a comprehensive list of recommended tools that will help to make any DIY build as easy as possible. Are you going it alone and braving a DIY build? If so you need to read this guide. Our experts take you through their 9 step process for building your own decking; starting with the preparation of your oversite & finishing with the optional addition of steps or a stunning pergola. When it comes to laying a deck this is the most comprehensive guide on the web. 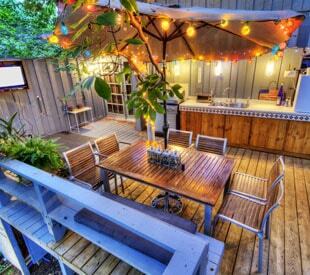 So your beautiful new deck has been built and it looks great – but what now? It won’t stay looking so good if you don’t look after it with careful maintenance & aftercare. Our experts take you through their top tips when it comes to taking care of your deck – including some innovative methods and techniques you can use to reinvigorate a tired, ageing structure. Perfect for those with a new or existing deck. 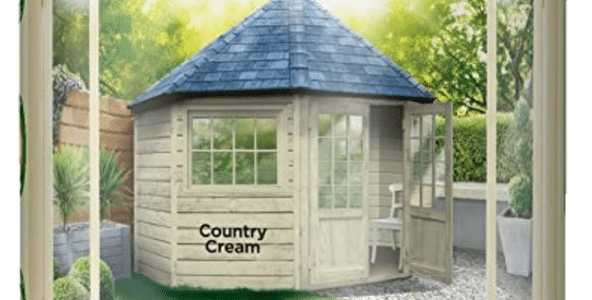 We review some of the best products available for home & garden. From hot tubs to timber paint, our aim is to help you find the top products to help your home look stylish and beautiful. Garden decking can have a variety of home & commercial uses – especially during summer months, where they can be used for dining, play & socialising. In commercial settings, it can be ideal for pubs, restaurants & bars where they are an ideal space for customers. Once erected it is very low-maintenance in comparison with grass & plants which can quickly become messy & overgrown without due care & attention. It’s also easier to install than paving & can even be used to hide old patio, damaged concrete or rough uneven ground without having to dig everything up. 1. Firstly, it is incredibly versatile! Decking can look good in pretty much any garden, whether you’re looking for a contemporary feel or a more natural space. By raising your entertaining area above damp or muddy ground, it’s also a practical way for you to enjoy living in your garden. 2. It also takes very little maintenance once it has been built. The species of wood used is chosen specifically for the oils it contains. Unlike other types of flooring which would quickly degrade in the elements, decks can last for years of exposure with relatively little care. 3. If you have French windows which lead out onto a lawn or patio area, decking can be used as a stylish & practical way to maintain your indoor floor level outside in your garden. 4. It can help make your garden look bigger than it actually is. If you’re working with a particularly small space, the boards can be positioned so as to make your garden look longer or wider – simply by fooling the eye. What did our experts think of Cuprinol Garden Shades? Click to find out! 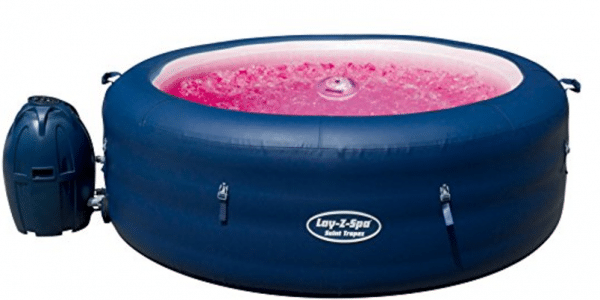 Check out our expert's review of the Lay Z Spa Saint Tropez inflatable tub.